We are located on the heart sukhumvit road--center of BKK. You can conveniently reach BTS Skytrain, restaurants,banks, post office, 24 hours convenience stores, Benjasiri park, luxury shopping center Emporium and entertainment complex within few minutes. 5mins to Bar street of Thonglor. 20mins to weekend market and many major public transportation pass by. *We do not have lift or elevator but just few walk to upstair. *We provide lockers in dorms. Please bring your own padlock. 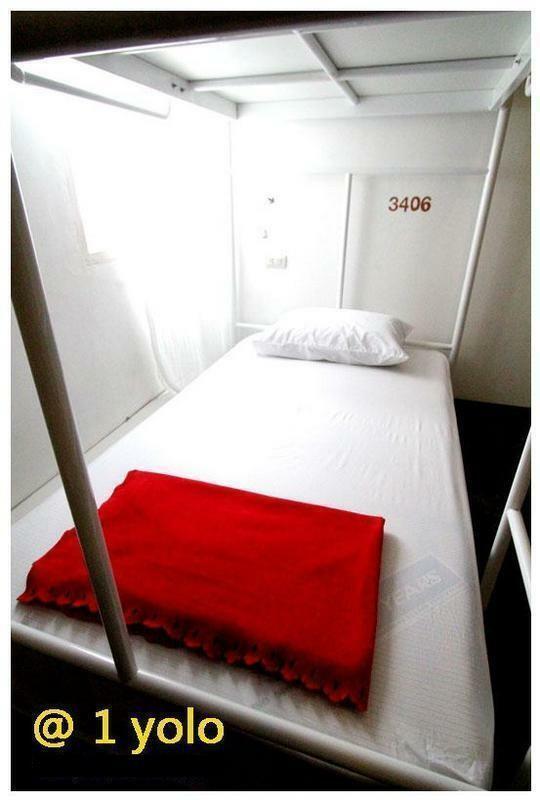 *A refundable key card deposit of 100 Baht will be collected upon checking in. This will be returned to you when you return the key card to us when checking out. *Full payment / balance due, in Thai baht, is collected upon check-in. From Bangkok International Suvarnabhumi Airport,there are 2 convenient ways to get to 1yolo. Follow the signs to the Airport Rail Link and buy a ticket on the city line to PhayaThai Station (terminal station). At this station you can transfer to the BTS Skytrain, where you need to purchase the appropriate fare to bring you to the Phromphong Station. When you reach please follow the signs to exit 4. Go down the steps and turn to walk the opposite direction of emporium shopping mall. Walk for 100 meters and you will see 1yolo on the right hand side.